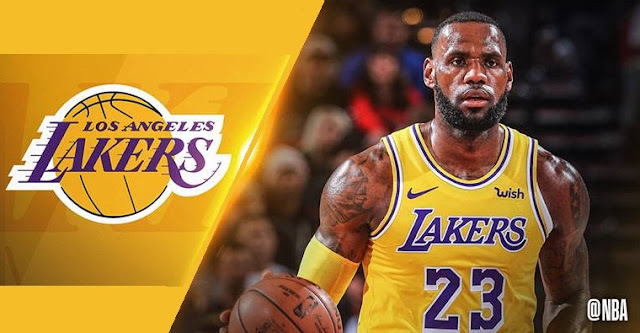 NBA – On November 14, 2018 (US TIME) LeBron James made another history as he passes Hall of Fame and Lakers Great Wilt Chamberlain to take the 5th spot on the NBA All-Time Scoring List while Wilt Chamberlain moves down into 6th spot. Before the season start LeBron James is currently at the 7th spot of the NBA All-Time Scoring List, as soon as the 2018 - 2019 NBA Season starts he quickly passes Dallas Mavericks superstar Dirk Nowitzki to take the 6th spot and passes bye the only remaining active players in the list. Now tonight James passes Wilt Chamberlain as he takes the 5th Spot and eyeing the spot of the “GOAT” Michael Jordan at 4th Spot. James is expected to pass Jordan as the season progress or possibly before the season ends. As of now James has 31,425 career points and he will need 868 points to surpass Michael Jordan, who is currently 4th with 32,292 career points. Aside from Jordan, there are 3 more players on the top of the list they are Kobe Bryant which is at the 3rd spot, Karl Malone in 2nd spot and Kareem Abdul-Jabbar at the 1st spot All-Time. James, who had a monster game tonight dropped 44 points, 10 rebounds and 9 assist, one assist shy of getting his 2nd triple double of this season while also adding 3 blocks and 1 steal in win against the 2nd best record in the West the Portland Trailblazer at Staples Center in Los Angeles, California. Aside for LeBron James Historic night, The Lakers win put them in 7th spot in the West Standing along with their 4 – game winning streak, which put the Lakers as the hottest team in the West. Lakers next game are Orlando Magic, Miami Heat and the much awaited return of LeBron in Ohio against his former team the Cleveland Cavaliers. 1 comment to ''LeBron James Takes 5th Spot of the NBA All-Time Scoring List"
James is expected to pass Jordan as the season progress or possibly before the season ends.